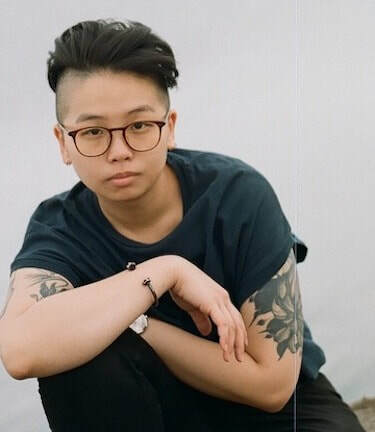 Jean Tong is a Melbourne-based writer, dramaturg and director. Jean creates politically irreverent works about the untidiness of cultural identification, structural inequality, and Otherness. Her work - tonally best described as ‘wry outrage’ - uses dark humour and vivid imagery which tends to burrow under the skins of audiences. She is informed by her border-straddling, imaginary citizenship, and can never stop seeing the in-betweens, which she finds fascinating. Her plays include: HUNGRY GHOSTS which premiered at Melbourne Theatre Company in 2018; KILL ALL ADULTS which premiered at Victorian College of the Arts in 2018; TERRORISM; MACDEATH: A CODA; and the musical ROMEO IS NOT THE ONLY FRUIT which premiered in 2017 and was remounted at Malthouse Theatre for the Melbourne International Comedy Festival and Brisbane Festival in 2018. Jean was selected for Film Vic’s Plot Twist programme and by Screen Australia, to be part of their Developing the Developer initiative, which aims to increase the pool of experts in the field of story development. Melbourne Theatre Company granted her the Robert Macdonald Professional Development Award. She has also received the Murray Sutherland Award and the University of Melbourne Global Scholar’s Award. Jean has published in Peril Magazine and Meanjin (Spike), and presented at the Emerging Writers' Festival. Jean holds a Bachelor of Arts from the University of Melbourne with a double major in English and Theatre Studies, and Criminology. During her second year, she studied at King’s College London. She has completed a Masters in Writing for Performance at the Victorian College of the Arts.